Modi fans are no less than any celebrity fan. A wedding card in Surat has asked the guests to vote for Modi in 2019 General elections as a gift. This invitation card is not the only one but another wedding card in Mangalore has asked the guests to elect Modi in 2019 as their gift. The card is being circulated on all the social media platforms. 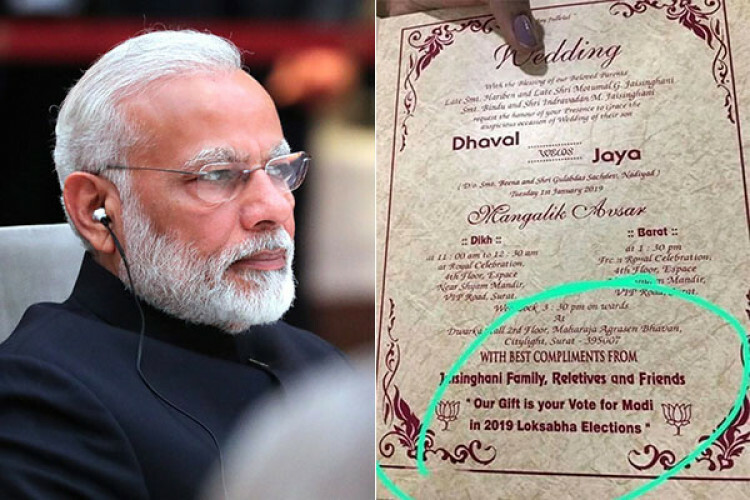 Another Modi fan listed his achievements on their wedding card.